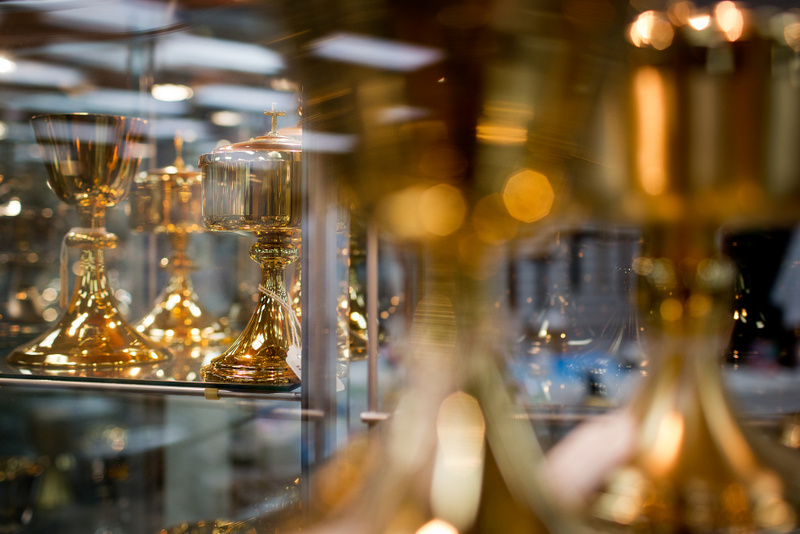 Golden chalices are on display in glass cases inside Cotter Church Supplies Inc. 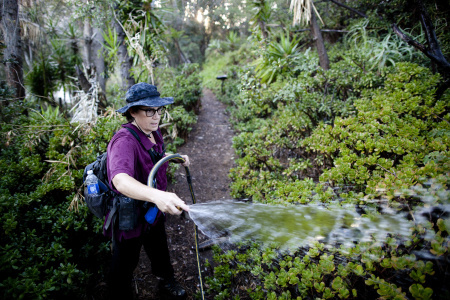 Some chalices can cost up to thousands of dollars. 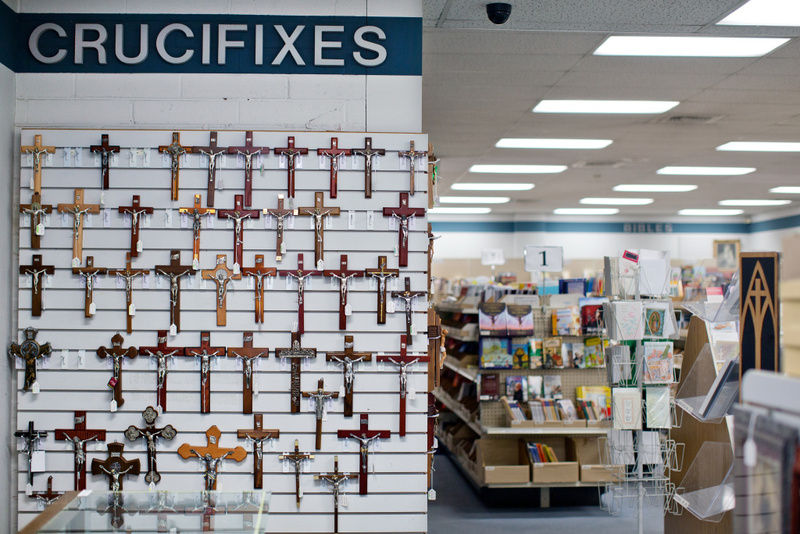 Crucifixes and many other religious items are sold at the store, which has four locations throughout Central and Southern California. 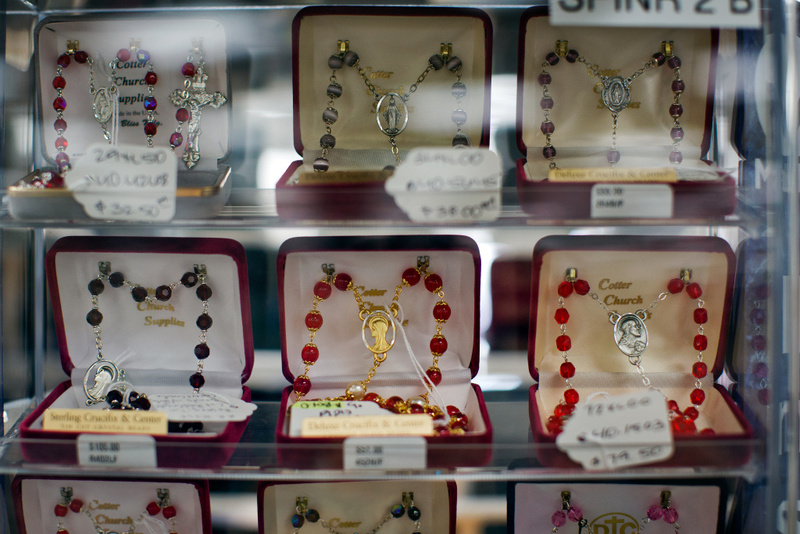 Rosaries are on display inside Cotter Church Supplies Inc. on Wednesday, March 12, 2014. Ted Cotter first opened the store after moving to LA from Ireland. 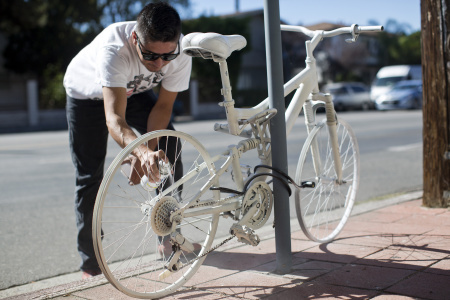 The first storefront was a room rented out of a house in Long Beach. Co-owner Tim Cotter and his brothers run the family-owned business that has been open since 1948. 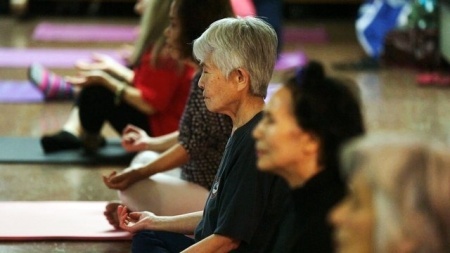 The store also has locations in Long Beach, Fresno and Modesto. 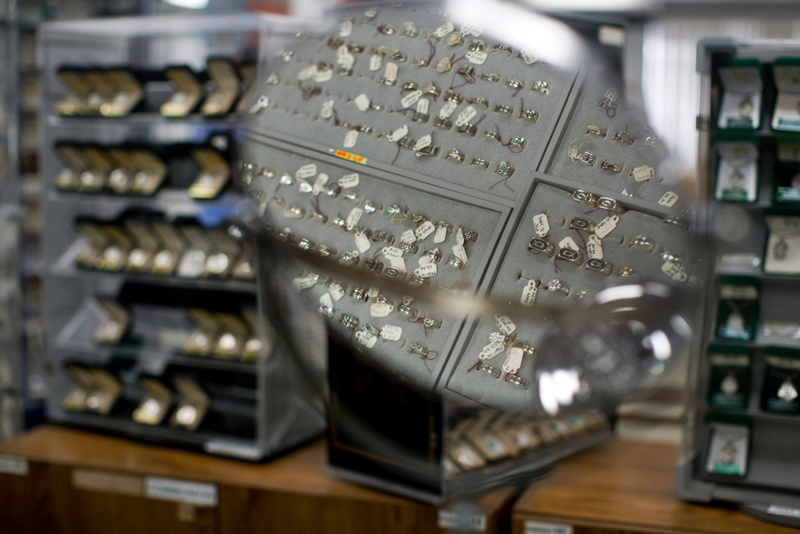 Silver rings are for sale in a display case at Cotter Church Supplies Inc. in Westlake on Wednesday, March 12, 2014. 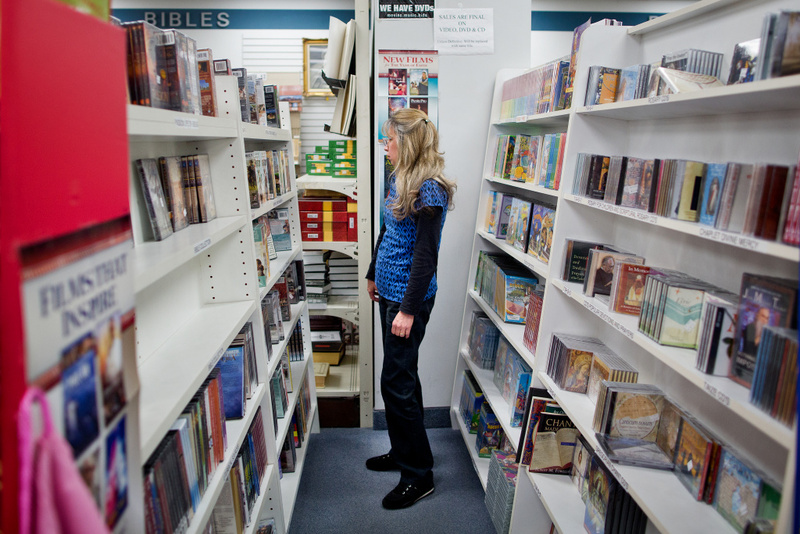 A customer browses the book section inside the Cotter Church Supplies Inc. Westlake store. 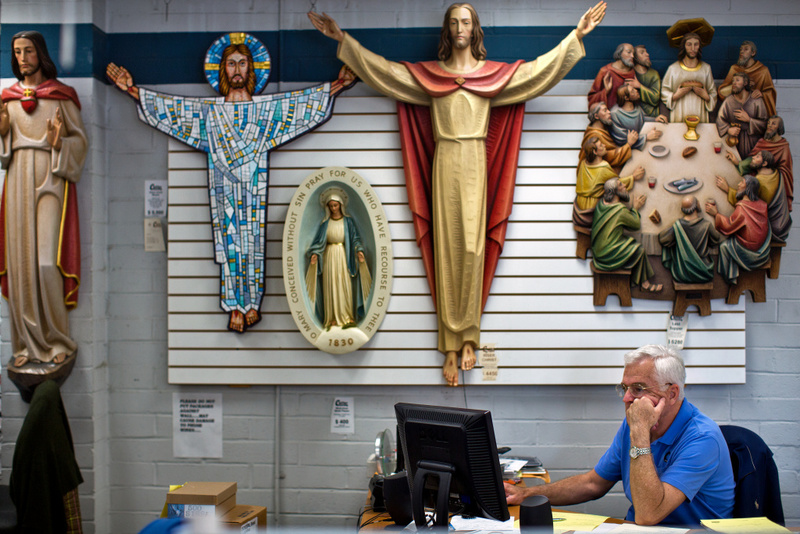 About 60 percent of the store's business comes from churches, with 40 percent coming from laity. 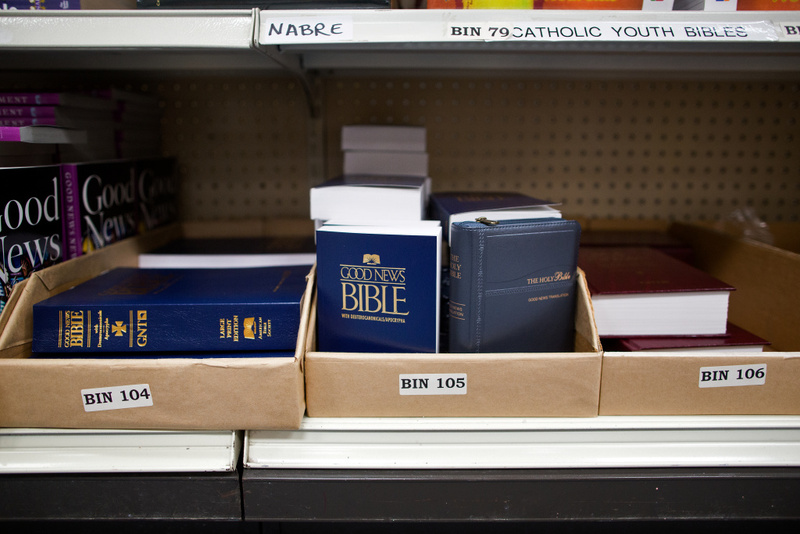 Bibles and other religious books are organized into bins for in-person shoppers and for employees to fill online orders. Co-owner Pat Cotter moves boxes out onto the floor at Cotter Church Supplies Inc. on Wednesday, March 12, 2014. 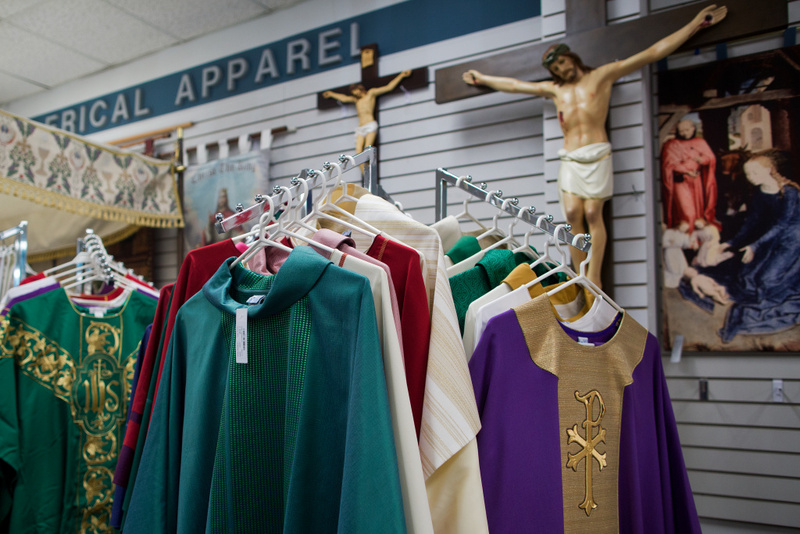 The clerical apparel section inside Cotter Church Supplies, Inc. includes clothing for altar servers, vestments for clergy and stoles. 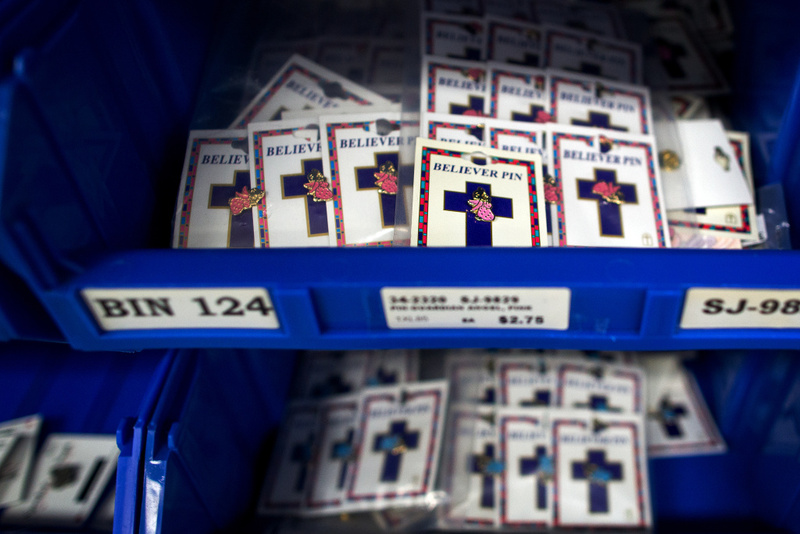 The store sells pins, books, picture frames and lots of other religion-related items. It's also one of the only sources where local churches can buy high volumes of wine and hosts (sacramental bread). Sixty six years ago, Ted Cotter moved from Ireland to Los Angeles and opened a church supply store from a rented room in a Long Beach house. Now Cotter Church Supplies Inc. is California's largest church supplier, with four stores in Central and Southern California. 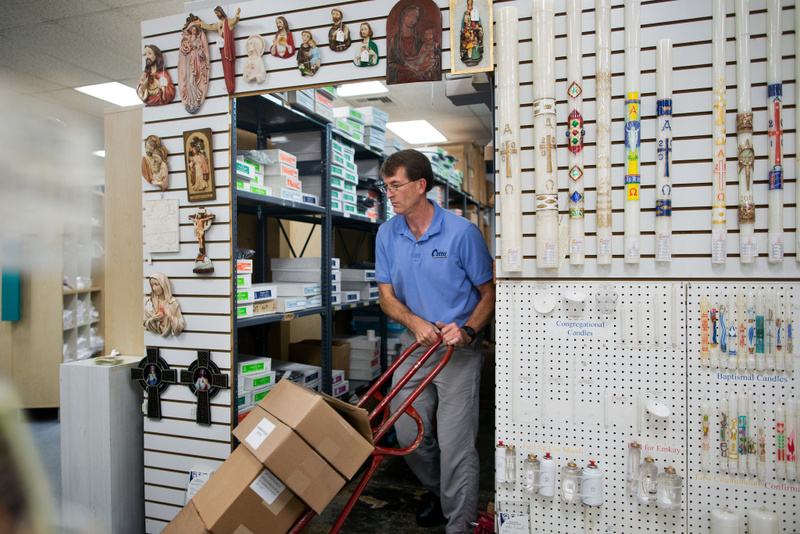 They sell just about everything Catholic-related: hundreds of different kinds of rosaries, even special-order Italian-made sculptures. The store is one of the only places where California churches can buy high volumes of communion wine and host (sacramental bread). The wine comes from an in-state winery and the bread is made at a single factory in Connecticut. Sons Mike, Pat and Tim Cotter now co-own and run the store together. Mike Cotter said they try not to get too kitschy, but they sell keychains, picture frames, pins, books and lots of other items, too.